in the more than 5 years we've been together, my husband has said and done quite a few stupid things. yesterday, he was able to top himself yet again and inspired me to write this blog. when i forced my technologically challenged husband to finally get a cell phone, the battery died so he charged it. after it charged, he brought it to me complaining about how i made him get the stupid thing and it broke already. he told me he had charged it and it wouldn't come back on. i asked "did you actually turn it on" his answer: "well, yes, i opened it!" a couple years ago, i finally got my husband to get rid of his beat up old pick up truck. actually it died (god is merciful), so he got a new car. a couple months after getting it, he came to me complaining about how the air conditioner was broken already and he wasn't happy about it at all. i ask "did you turn it on". he answers "of course. it is running, but it just blows out hot air". to this, i have to ask "did you push the button with the snowflake on it?" he mumbled something about how of course he did, his mama didn't raise no fool. next time i get in the car, i turn on the a/c and it worked beautifully! i'm in the delivery room, giving birth to our second daughter. she was seconds away from being born. as the doctor tells me to push, the phone in my husband's pocket rings. he ACTUALLY reached to answer it. however, the nasty looks he was given by every female in the room quickly changed his mind. i could go on all day about the dumb things he has said and done, but perhaps i will save some for another time. yesterday, while at work, my husband throws something in the trash can. i guess it didn't make it in or something, so he bent over to pick it up. when he bent over, he actually got his tie caught in the paper shredder. 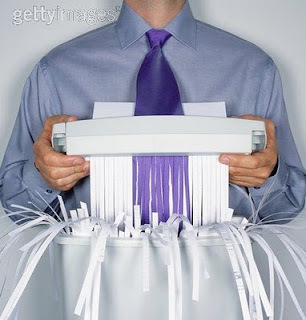 he was able to shut off the shredder before anything else got ruined, but the tie did not make it. i love my husband and am very thankful and lucky to have him in my life. thank you, honey, i love you and thanks for providing me with comic relief, even when you don't intend to!